Marshall’s new line of effect pedals is sure to raise a few eyebrows, especially if other pedals in the lot measure up to the sonic brilliance that is the RG-1 Regenerator Modulation pedal. Although we don’t regularly look to amplifier manufacturers to build great effect pedals, occasionally, they release some great sounding effects that go on to become highly prized additions to a player’s tone arsenal. 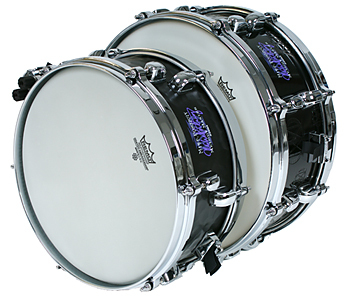 In this regard, the RG-1 doesn’t disappoint. The pedal features beautiful chorus sounds, a wicked cool Step Phaser like most players have never heard, and an excellent flanger. It doesn’t color your amp’s tone (other than how you deliberately want the effects to sound), and it’s very quiet, even when using classic noisy effects like flanging and phasing. While a few of the modulation effects weren’t particularly exciting to us (the Phaser and Vintage Vibe), the others earn the RG-1 a permanent home on our pedal board. Unfortunately, the pedal is marred by one particular shortcoming that keep us from totally raving about it: The seemingly beautiful gleam of its highly-polished knobs makes it virtually impossible to see your pedal settings without looking at it very closely (from a standing up position it’s virtually impossible). Our only other real gripe is that there are so many great sounds lurking in this pedal that we hate being limited to a single setting at a time. 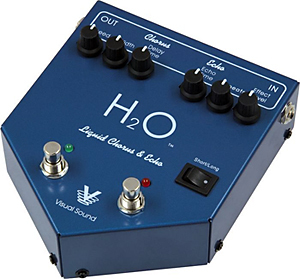 This pedal cries out for a new version that has multiple memory settings so that we can have instant access to a few of the different modulation effects. Either that or we’re going to have to buy a few of them! When used in mono operation, the pedal gives you a choice of functionality based on input – the first output (Left) provides true bypass operation, whereas the second output (Right) is buffered and provides effect spill-over, so the trailing edge of an effect isn’t stopped abruptly when bypassing the pedal. In stereo operation, one signal is output 180 degrees out of phase from the first. Controls are provided for selecting the modulation mode, Speed, Depth, and Regeneration, which is basically a wet/dry effect mix level control. This is useful for adjusting effect output based on use in a parallel or serial effect loop, or in front of your amp. In a parallel loop, it’s nice that you can set the pedal for 100% wet output. An expression pedal input provides manual control of the effect Speed. The RG-1, as with all pedals in the latest series of Marshall pedals, is housed in a heavy-duty metal chassis with metal knobs, a Carling-style switch, and standard 9V operation from either battery or AC. Operation of the RG-1 is straightforward. Just dial in your settings and go. We had no problems running the pedal from battery power (sorry, it’s not a quick-release battery compartment), a BOSS PSA power supply, and our Voodoo Lab Pedal Power 2 Plus. Perhaps due to its role as a general purpose, Swiss Army-style modulation pedal, the RG-1 lacks some of the dedicated controls that certain individual pedals would offer. For example, some flanger pedals offer manual control of the frequency spectrum, while some tremolo pedals provide control over the shape of the LFO waveform. Despite the rugged construction, the knobs are poorly marked with a black line that is simply painted on. On our test pedal, some of the black markings were already worn off. Under almost all lighting conditions, the thinly painted markings on the mirror-finished knob tops made it nearly impossible to see what our settings were without bending down to our pedal board to get a close-up look. This is definitely more of a set-and-forget pedal. The red LED to indicate operation was clearly visible, though. We connected a Roland EV-5 expression pedal and had no problem adjusting the speed of our modulation effects. For most of the pedal’s sounds, though, we preferred using the pedal by itself with a fixed speed setting (from the Speed knob) that wasn’t so easily adjusted by our own random acts of stupidity, though it was a great feature in particular to use with the Vintage Vibe setting. Although the documentation describes an effect spillover feature when connecting in mono to the second output jack, we were unable to detect any difference in functionality. When we stepped on the footswitch while sustaining an effected chord, the effect cut out immediately just as it did on the true bypass output. The RG-1 is a mostly-great sounding pedal. 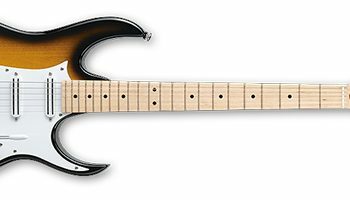 We loved both of its Chorus effects, the Flanger, and the Step Phaser in particular. We tested the pedal with a Fender Super-Sonic tube combo as well as with a Mesa/Boogie Road King II half-stack, both in front of the inputs as well as in the serial effects loops. The pedal sounded good in front of the amp, but particularly beautiful in the effects loop. We played the pedal using a variety of clean tones as well as high-gain distortions and were very happy with the results in both cases. Whether adding flanger to a high-gain lead sound (we know – how ‘80s of us), layering chorus on our heavy rhythms for that L.A. sound, or playing through shimmering cleans, the RG-1 proved itself quite versatile. The Vintage Chorus gave us a deep, rich sound that rounded out our notes and sounded lush without losing the brightness of our high end. Sonically, we found ourselves drawn to playing classic Pink Floyd songs like “Brain Damage” with this sound (to get really specific, the more modern Gilmour tone as heard on Pulse). The Flanger was smooth and clean. It yielded beautiful classic flanging sounds that worked great both with and without distortion, and it did so with a notable absence of noise compared to many dedicated Flanger pedals we’ve used. Although the Phaser was pretty basic in its sound quality, a fast Speed setting enabled us to generate some great sci-fi sound effects from our guitar. Once again, the response with this effect was smooth and clean. The distinction between tremolo and vibrato is subtle and best left to a separate discussion with boutique pedal aficionados, but generally speaking, the familiar sounding effect is easily identifiable as one or the other (even Fender mistakenly used a tremolo circuit in their early Vibrolux amps that were purported to feature vibrato). No matter what you call it, the Vintage Vibe setting was the least exciting of the lot. 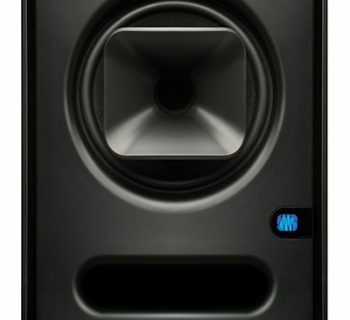 It provided a somewhat rudimentary vibe or tremolo sound that really didn’t compare to the effect as implemented in some of our rack-mounted signal processors. It was usable, but you’d make better use of this pedal with its other settings. We would have liked the addition of a tone control on this pedal to make the sounds even better. In particular, the outstanding Step Phaser was so bright at the high end that regular use of the effect necessitated an EQ adjustment on our amplifier to remove some of the high-end. The RG-1 comes with a very easy-to-read owners manual that describes all of the features, settings, proper power connectors, and tips for optimizing signal levels with your amp. It also includes some sample sound settings to help introduce you to some of its diverse sounds. 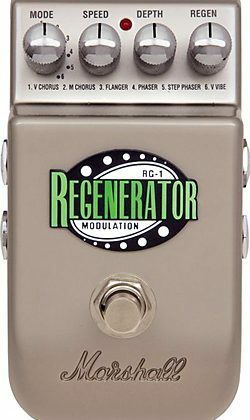 The RG-1 Regenerator Modulation pedal ($199 MSRP) sells for approximately $120, a good price for a modulation pedal with so many great sounds.